Porsche boasts a rich heritage of prestige and performance, garnering an extensive and devout following from drivers worldwide. The Porsche Premier Dealer program awards the top 25 Porsche dealerships in the United States annually, recognizing those that uphold the "Porsche Business Model" through best representing the brand, product, and continually developing key "Porsche business drivers" through their service. As the recipient of this prestigious award for five years, including 2018, Rusnak / Westlake Porsche proudly solidifies our reputation of exceptional customer service through a Porsche-backed accolade reserved for only the best dealerships in the nation. When a driver chooses a Porsche, they purchase more than simply a vehicle–they purchase a piece of history, and an extension of their lifestyle. Equipped with advanced, innovative technology both throughout the interior and packed within the powerful engines, Porsche vehicles offer an unparalleled experience for those seeking an exhilarating driving experience and luxurious, sporty interior. Understanding the needs and exacting standards of our customers, Rusnak / Westlake Porsche forges an inseparable bond between vehicle and owner, while exuding the very essence of Porsche ownership and values throughout the purchasing process. Through an unrelenting campaign to deliver exemplary service to amend our exceptionally curated inventory, Rusnak / Westlake Porsche's Premier Porsche Dealer award proves our commitment to perfection through an uncompromising pursuit of excellence! 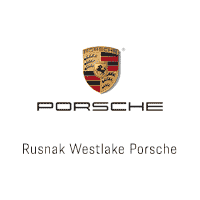 Discover the Rusnak/Westlake Porsche difference, and experience exceptional service as intended by Porsche themselves. 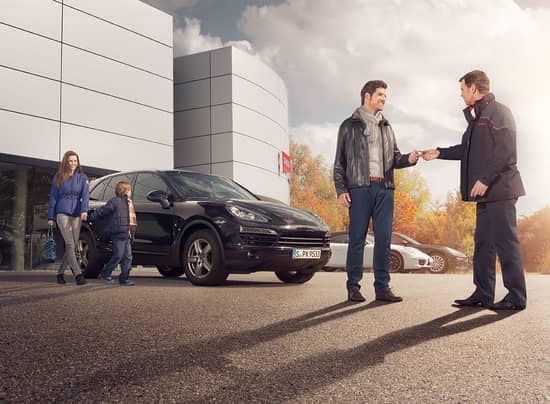 Whether seeking a new commuting vehicle or weekend track vehicle, Rusnak / Westlake Porsche proudly stocks the latest in Porsche models, with a variety of trim levels and option groups to suit any driver's exacting specifications. Stop by Rusnak / Westlake Porsche today to learn more about our inventory, or give us a call today to schedule a test drive. Committed to your satisfaction, Rusnak / Westlake Porsche strives to seamlessly deliver industry-leading service to ensure our continued listing as a Porsche Premier Dealership!